Quetta is the soil of talented peoples either they are male or female the potential are almost equal. 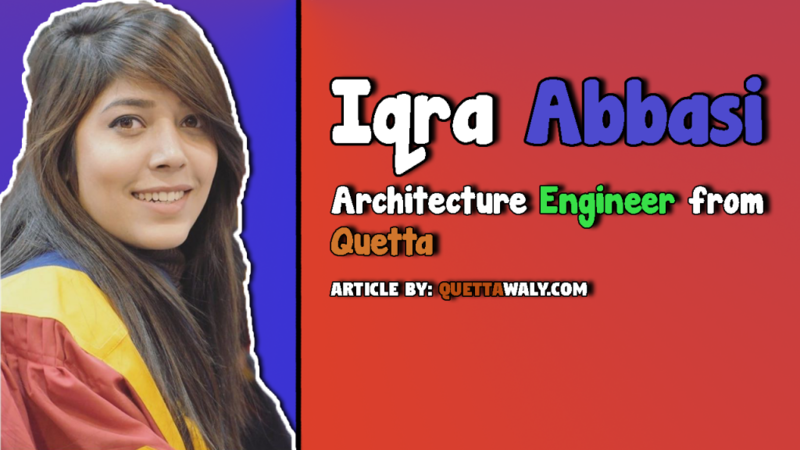 Same is the case of the famous and Admirable female architecture Iqra Abbasi graduated from one of the famous university of Balochistan BUITEMS Quetta campus. Architecture is the field that requires a lot of technical expect and your mind has to be creative to accomplish anything. Well if we talk about Iqra abbasi so she studied in the local school and college of Quetta. Talking about her graduation so she got admission in Buitems on Architecture engineering. 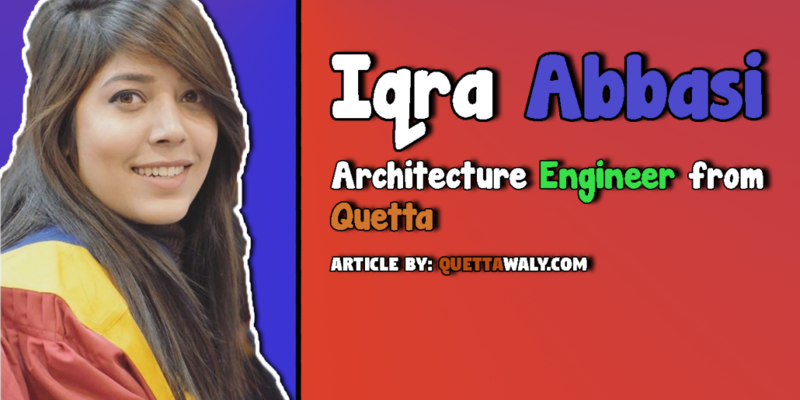 Architecture is no doubt a field that needs talented and hardworking personalities and the abilities of Iqra is totally matched with architecture engineering. Iqra was the student selected from Architecture department for a US culture exchange program. She got the chance to go to America and studied 1 semester into South Dakota university in her bachelor’s degree program journey. The story does not end here as the assignment of creating the spatial model of Volga Town during studying at South Dakota University the US was quite challenging indeed but the hands-on method approach stood her out for creating the design. Initially, she had a tough time with the project because her classmates were trying to replicate a building in the town while she thought to be more creative with something novel. Then she came up with the design that is a series of four Vs connected. The structure will be 14-feet high. The base of the Vs is extended on both sides so people can sit or lean on them. The Design got much of the fortunes from the Architecture 351 Building Collaborations Studio and got selected to be sited in 2017. She also featured in the university portal and in a popular Magazine “REGISTER” by The Brookings USA. The aim of sharing this story is just to give a motivation to the females of Balochistan not to give up on your dreams and work hard just like Iqra did and achieved what she wanted to be. Female like Iqra are making a good impact of Pakistan and making Balochistan a safer and positive for other countries and proving it as the soil of talented peoples. We wish her a blessed life and prosperous future ahead.